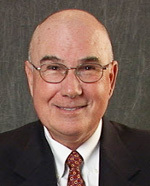 Dr. Jack M. Santone, D.D.S. Not even the most beautiful teeth can look attractive if healthy and pleasing-looking gums do not surround them. That's because the gums frame the teeth like a picture frame frames a picture. To have a pleasing smile, the shape, color, and texture of the gums are just as important as that of the teeth they frame. Although tooth development, periodontal disease, trauma, or tooth loss can create esthetic gum deformities, modern periodontal procedures and cosmetic dentistry can give individuals a smile to smile about. As a result of periodontal disease, gums may appear red, swollen, and shiny. If an individual has gingivitis or periodontitis, the gums have to be periodontally treated prior to cosmetic dentistry procedures. Teeth that appear too short may be normal-sized teeth hiding under too much gum. This can be the result of normal tooth development, or the use of certain medications that may cause gums to overgrow. Either way, a crown lengthening procedure can help reveal the normal tooth structure. If the teeth appear to be too long or if the root surfaces are exposed, it may be due to gum recession. Soft tissue grafting is very successful in correcting this problem. If the gum margins appear to be higher on some teeth and lower on others, this may be due to gum recession, altered eruption, or gum defects that resulted from tooth loss. The treatment of uneven gum margins may require crown lengthening, soft tissue grafting, ridge augmentation, or a combination of these procedures. After a tooth is lost, the bone that encased it disintegrates and the gum around it may collapse, creating an indentation where the tooth used to be. Ridge augmentation procedures can help correct this problem. Changes in the color of the gums may be part of normal gum development, or the result of scarring. Soft tissue grafts can predictably correct this problem. Periodontal disease can result in spaces in between the teeth that may appear like black triangles. These spaces can be very difficult to treat. They can be made less unattractive by a combination of procedures that include orthodontics (braces), crowns (caps), and/or periodontal (gum) surgery. The best way to avoid these spaces is to treat periodontal disease in its early stages and avoid the need later for cosmetic dentistry. 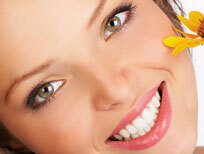 One or more missing teeth can be predictably replaced with the aid of dental implants. Dental implants can look and feel like natural teeth. Changes in the appearance of the gums can occur as a result of normal tooth development, periodontal disease, trauma, or tooth loss. By working with a restorative dentist who has expertise in cosmetic dental care and through the aid of modern periodontal techniques, individuals can design a smile that is both esthetic and youthful in appearance.